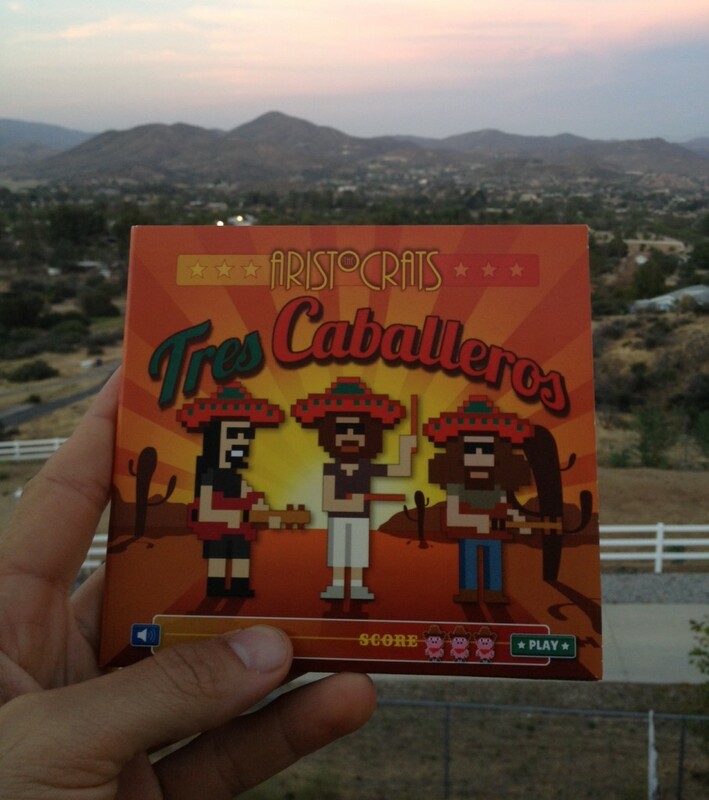 The Aristocrats’ “Tres Caballeros” Is Out NOW! It’s now available for immediate digital download and international order shipping through our webstore. And yes, it’s also available on iTunes, Amazon, various e-tailers, and select physical stores worldwide. For those who pre-ordered through our band’s webstore, digital downloads (accessible through a link in your order receipt e-mail) will now be activated, and shipments are all either on the way or have already arrived. International shipments take a bit longer sometimes, but the digital download should keep our global fans busy for a while. Late to the party? Try going here and watching the top three videos on the page for some tasty previews of Tres Caballeros. In all seriousness, THANK YOU for your support and interest in us as we made this record. I know Marco and Guthrie are grateful for the support of everyone on this list – but not as much as I am. Even though this is a band record, it’s still extremely personal to me, and I can’t thank you enough for following along as this journey made its way from demos to live residency to studio sessions and then, finally, to this very day. And now, it’s time to take the show on the road. Below you’ll see The Aristocrats’ North America and Europe tour dates (more dates will be announced for Europe soon). I know I speak for Marco and Guthrie when I say that we can’t wait to play this music for you. See you out there! Me again, reporting from Aristocrats World, and we’ve got something special for you: The entire song “The Kentucky Meat Shower” – the first full-song preview from our third studio album Tres Caballeros, available now for pre-order and due to drop on June 23. Just CLICK HERE to check out “The Kentucky Meat Shower”! Every song on Tres Caballeros has a different flavor. This one is Kentucky fried. For the record, Guthrie wrote this one. Wondering what it’s about? Wikipedia might just be your friend. We’ll have one more very special preview next week. For now, if you dig it, spread the word and tell ‘em what you heard. Also: don’t forget to check out our North American and European tour dates, now scattered throughout the remainder of 2015! But for now, it’s time for two last dates with Mike Keneally and BFD! This won’t happen again for a while, so if you’re a left coaster, you know what to do. Here’s the details, starting with my good friend Mike Keneally up and down California this very week! And there will be more Satriani and Aristocrats dates through 2016. Yep, it’s like that again. I’m very, very grateful to be so busy, and I hereby thank everyone out there who supports this wacky music we play and makes this all possible. Check the calendar page for additional details and links and all that good stuff. Oh, and about that new Aristocrats album – it’s still available for pre-order and drops on June 23. Click here to see the trailer for the bonus DVD “behind the scenes” footage. Click here to hear a montage with clips from the entire album. And click here to pre-order! Hope to see you out there sometime in the next…18 months? !